In 1933, when 15 year old Jaidev ran away from Ludhiyana to Bombay, it was to become a film star. He acted in eight films as a child star in Wadia Film Company. But owing to his father's blindness, he had to return to Ludhiyana. He was proficient in Hindi, Urdu and Sanskrit. While he was acting in films in Bombay he took music lessons from Krshnarao Jaokar and Janardan Jaokar. Before that, in Ludhiyana, he was initiated into music by Prof. Barkat Rai. After his father's death, it was his responsibility to look after hos sister. After he got her married, in 1943 he went to Lucknow and continued his music studies under Ustad Ali Akbar Khan. Ali Akbar took Jaidev as his music assistant, in 1951, when he composed music for Navketan's Aandhiyan and Hum Safar. From Taxi Driver on, he bacame S D Burman's assistant. His first oppurtunity to be full-fledged music director was in Chetan Anand's Joru Ka Bhai, after which he composed music for Chetan's Anjali. Music of both of these films became very popular. But, with Hum Dono, Jaidev came into the limelight. Who can forget the song 'Allah Tero Naam, Ishwar Tero Naam..' sung by Lata! And as long as lovers are around, 'Abhi Na Jao Chhodkar..' will be favourite. After three decades of continuous struggle as a music director, Jaidev was a tired man. Age was catching up with him and his health was failing. He had no one except friends to care for him and no house to call his own. Earlier he used to spent his vacant hours over a glass of liquor. But later even that blessing was denied to him on medical grounds. 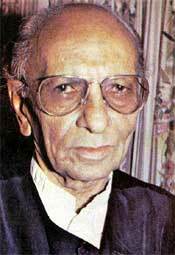 On December 14, 1986, when Jaidev stepped on the stage to receive the Sur Singar Samsad award for his classical music in 'Ankahee', he looked weak but healthy enough to last another decade. The glow on his tired face was probably the last flash of a falling star. On January 6, 1987, he died suddenly, at the age of 68, leaving the film industry to grieve for the loss of a talent it had consistently neglected. Jaidev assisted Ali Akbar Khan and Dada Burman before he got an independent assignment in 'Joru Ka Bhai' (1955). He built a reputation as a sensitive composer who did not compromise on the quality of music for the sake of applause. Jaidev was admired by producers as a good composer, but they considered him good enough for the small-budget films. Though most of his films failed at the box office, many of them, such as 'Kinare Kinare', 'Reshma Aur Shera', 'Alap', 'Prem Parbat', 'Gaman' and 'Ankahee', are remembered for his imaginative musical score. It is unfortunate that despite his expertise in classical and folk music and imaginative approach, Jaidev had only 'Hum Dono' (1961) and, to a certain extent 'Mujhe Jeene Do'(1 963), as the only commercially successful films to his credit.